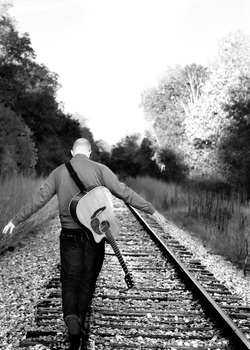 Travis Atkinson is a singer-songwriter from Grand Rapids, MI. After being involved in the collegiate a cappella circuit, Travis and his friends started their first band, Faces for Radio. A few years later, he moved to Chicago and began writing more, starting a band with friends called Second Frost. Recently, Travis has returned to his hometown where he plays a blend of covers and originals around the West Michigan area. Travis' influences include folk, country, blues, and classic rock artists, including James Taylor, Dave Barnes, The Eagles, Huey Lewis & the News, and Zac Brown Band. Travis brings a blues-infused acoustic rock flavor to his performances. Travis has performed at prominent venues in and around Chicago and Grand Rapids. His eclectic mix of songs and dedication to his craft provide for a quality, entertaining experience for any audience.